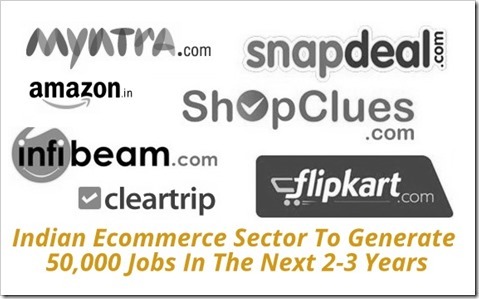 Hiring in Indian eCommerce market is posed for an explosive growth. As per research accomplished by various HR consultancy firms, it has been revealed that more than 50,000 jobs would be generated in the next 2 to 3 years by Indian eCommerce players. And such a huge market will definitely require skilled professionals and human resources to take the growth story forward. As more and more Indians choose Online medium for their shopping requirements, travel arrangements and services such as bill payments, there would be a great demand in terms of skilled human resource in areas such as data analysis, social media, digital payment area, programming and engineering. Yesterday i was watching the interview of these guys (flipcart and myntra) in CNBC. these guys have really huge plans for the future. As sachin bansal said they are not looking for profitability currently what they are targeting is increasing e-com market and providing users a taste of online shopping. i think you are right mohul e-com is going to produce huge job opportunities in india.